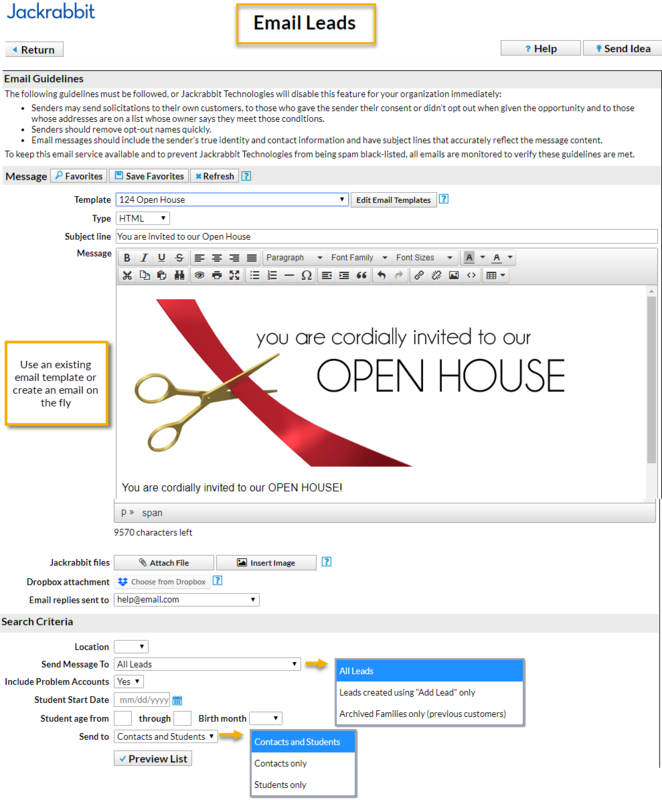 Select Email Leads from the menu on the left. In the Email Message section select a Template OR enter an Email Subject Line and Message. Select a reply email address for the email. Use the Search Criteria to select the recipients. Confirm the Matched Recipients. To omit an email address clear the checkbox. Click Send Now or select Send Later if you wish to schedule this email to be sent at a later date (Schedule an Email - Send Later).